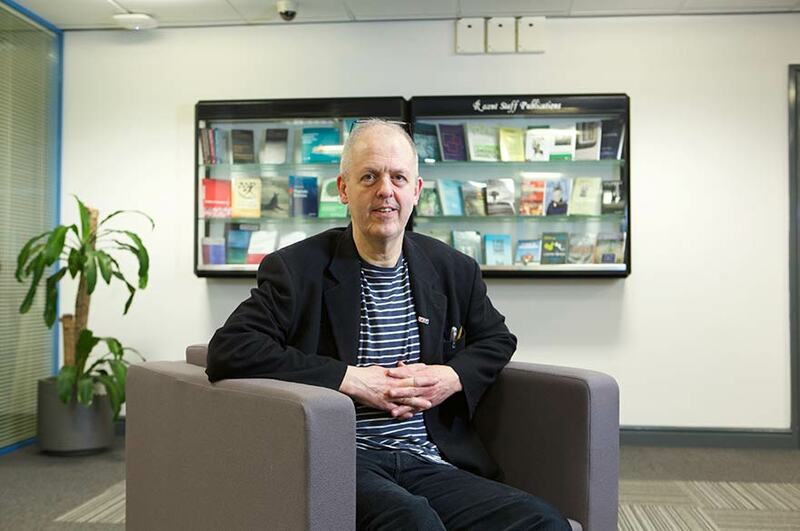 Professor Martin O'Shaughnessy is widely recognised as a leading international scholar on the work of Jean Renoir, one of France's greatest film directors. His research on Renoir has generated a range of important outputs. Through his research, he contributes to film education in England while broadening access to culture at home and internationally. O'Shaughnessy worked with the charity Film Education from 2009 to its closure in 2013. He introduced films to schools audiences, supporting Film Education's mission to champion and promote film. Film Education reached a total of 4.4 million young people at free screenings and festivals since 1997, and 1.6 million young people used its resources in class. O'Shaughnessy presented Renoir's La Grande Illusion as part of National Schools' Film Week in 2012, with screenings preceded by an introduction and followed by a discussion in Bristol, Birmingham and Nottingham. He was also commissioned to produce a study guide to the film that was made available to every school in the country through the Film Education website and later through the Network for Languages. a public screening and discussion at the Institut Français in London to launch his book La Grande Illusion in 2009.
a conference keynote (Filming in the rubble: French film and the world of work) at the Lancashire International Film Festival and at the conference, Working life: now and then; an open public event in 2010. O'Shaughnessy's work on Renoir received very favourable comment in Positif, a leading French film studies journal with a circulation of 8,000. An overview of recent writings on Renoir spoke of his book, Jean Renoir, as "one that people had taken notice of" and his La Grande Illusion study as "remarkable, due to both its intellectual rigour and the penetrating nature of its commentaries." His book, The New Face of Political Cinema, was praised in Cineaste (a leading American film studies journal aimed at a non-academic audience with a circulation of 11,000) as "a powerful and eloquent polemic for retaining a class analysis of film." O'Shaughnessy's discovery of a previously unknown draft of the script of La Grande Illusion led to its publication in France, accompanied by his own commentary on it. O'Shaughnessy has been researching the films of Jean Renoir since 1998. Initially, he took stock of existing research on Renoir and updated it by looking at the important but neglected gender dynamics of his films, examining his mise-en-scène of the national, challenging reductionist accounts of the evolution of his political commitment and drawing out the important critical dimension of his under-studied and underestimated later films. More recently, O'Shaughnessy has developed an in-depth study of Renoir's La Grande Illusion, combining high-level close analysis with detailed attention to the film's intervention in a specific historical context and to its subsequent reception history. As part of his analysis of the film's genesis he discovered and analysed a draft of the film that pre-dated all previously known drafts. He pursued his study of the film by discussing the originality of its use of sound compared with the other great war films of the 1930s, and its important contribution to the memory of the 1914-18 war. By drawing attention to new sources, O'Shaughnessy's outputs shared insights gathered during the research. This has facilitated a direct impact on public discourse surrounding the film and ensured that the principles of public engagement have informed and shaped his work. At the same time, building more broadly on his sustained attention to the politics of style, O'Shaughnessy has sought to correct the repeated critical over-insistence on the spatial dimension of Renoir's 1930s films. He has written about the mise-en-scène of deep time in the director's great works, thus bringing out the vital links between their historical self-consciousness and their style. He has pursued this work on the politics of style by re-examining Renoir's 1935 film, Le Crime de Monsieur Lange, reasserting the radicalism of its political commitment and entering into debate with those who seek to downplay it. O'Shaughnessy's ongoing study of Renoir takes place in the broader context of his work on French cinema in general and cinema and the political in particular. He is currently finishing a book-length study of the films of leading contemporary director Laurent Cantet. In focussing on French political cinema, O'Shaughnessy offers new insights into existing works whilst stressing the rich cultural value of the cinematic text. He sees public engagement as a natural prolongation of his interest in political film. The same engagement feeds back into his work and helps him shape its future direction. An illustrative review of the book launch and question and answer session after the screening of La Grande Illusion at the French Institute. The recording of O'Shaughnessy's talk at the Maison Française in Oxford provides further evidence of collaboration with a cultural organisation and contribution to public discussion. O'Shaughnessy's introduction to and discussion of La Grande Illusion in Bristol and Nottingham is evidence of his work with cinemas, schools and other cultural organisations. The book review of The New Face of Political Cinema in Cineaste, spring 2009, p.89 is reproduced in Post-anarchism anarchy, providing an example of how O'Shaughnessy's work on political film played a part in broader public debates. O'Shaughnessy, M., 2000. Jean Renoir. Manchester: Manchester University Press. O'Shaughnessy, M., 2009. La Grande Illusion. New York: I B Tauris. O'Shaughnessy, M., 2010. Silencing the war all the better to hear it: Renoir's La Grande Illusion,Studies in French Cinema, 11:1, 5-16. O'Shaughnessy, M., 2011. Breaking the circle: Le Crime de Monsieur Lange and the contemporary illegibility of the radical text, The South Central Review (John Hopkins University), 28:3, 26-44. O'Shaughnessy, M., 2000. Nation, history and gender in The Films Of Jean Renoir, in France in focus: Film and national identity. Oxford: Berg. O'Shaughnessy, M., 2013. Shooting in deep time: The Mise-en-scène of history in Renoir's films of the 1930s' in Phillips, A. and Vincendeaus, G. (eds.) A Companion to Jean Renoir. Oxford: Wiley-Blackwell. O'Shaughnessy was awarded £745 by the British Academy in 2006 to travel to Paris to research his book on La Grande Illusion. He was awarded £40,330.40 by the AHRC under their Research Fellowship Scheme for his current major project: The Cinema of Laurent Cantet. He is currently working on a project that will involve further close study of Renoir’s films of the late 1930s.